Barbizon Midwest Review: Barbizon Midwest presents Jon Kent Ethridge, a Hollywood Hit! Barbizon Midwest presents Jon Kent Ethridge, a Hollywood Hit! Jon Kent Ethridge is a talented young actor who's getting tons of attention for his impressive resume! This 19-year-old Barbizon Midwest graduate is getting great new movie and TV roles left and right. Recently, he's known for playing Craig in "Out of Jimmy's Head" and AJ in the movie "The Last Day of Summer". He was even nominated for the Young Artist Award for those roles, and the recognition keeps coming! Here's Jon at the premiere of "Land of the Lost", which he was in with Will Ferrell. Jon is a star who's getting brighter every day. 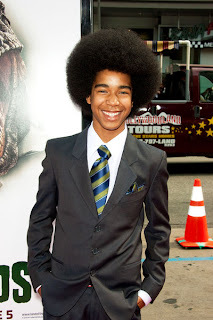 He's been in hit shows like "iCarly", "Lie to Me" and he played Young Blade on "Blade: The Series". Jon is coming right into the spotlight with more and more great opportunities each day, so keep an eye on him- he's one actor whose work you don't want to miss!